Niehaus, Andreas, and Christian Tasgold. 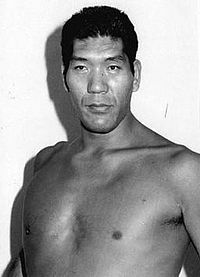 Sport, Memory, and Nationhood in Japan. Weiner, Michael. Race, Ethnicity, and Migration in Modern Japan. 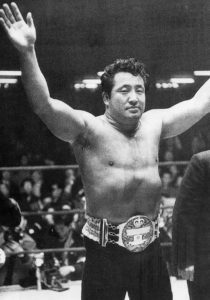 Rikidozan at the peak of his career. 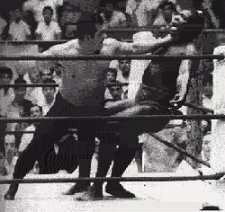 Rikidozan laying the hurt on one of his heels. 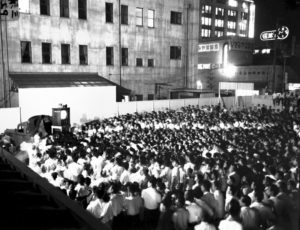 Crowds watching a public NTV broadcast of the Rikidozan/Kimura vs. Sharpe Bros match in 1954. Inoki Kanji vs Muhammad Ali, 1976. If you’re wondering, the match was a draw. 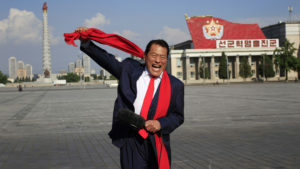 Inoki Kanji (Muhammad Hussein Inoki) in Pyongyang in 2016. Women’s puroresu (Joshi puroresu) remains a major cultural phenomenon in Japan today. 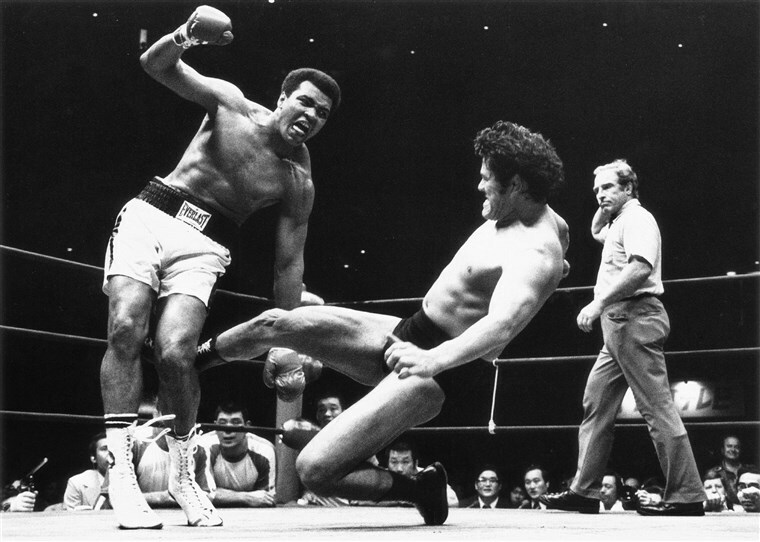 This image is from a match in 2018.